An alarm is often loud, obtrusive and annoying, simply to remind you to do something at a specific point in the day. Whether it is waking you up, brushing your teeth, leaving home in time for the bus, or simply checking if you’ve won that superb vintage watch during an online auction. 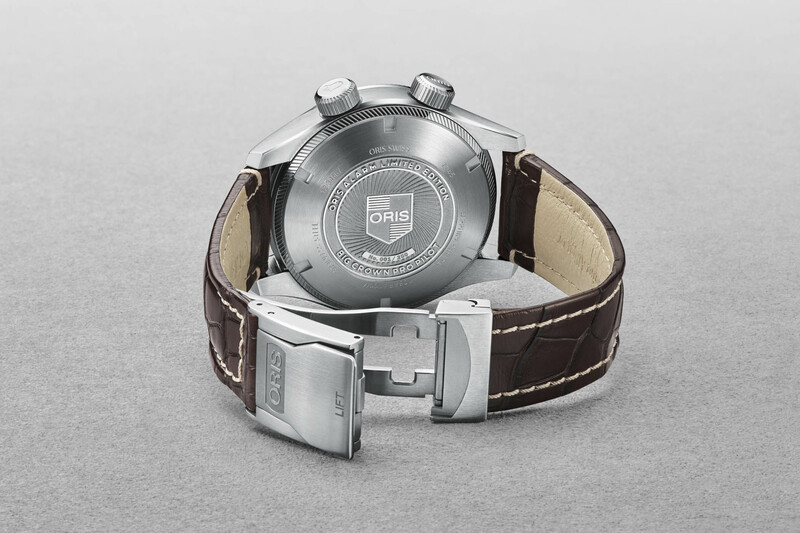 There are watches, however, that exchange this loud, obtrusive annoying interruption into a mechanical wonder, just like this Oris Big Crown ProPilot Alarm Limited Edition, set to be introduced during Baselworld 2018. 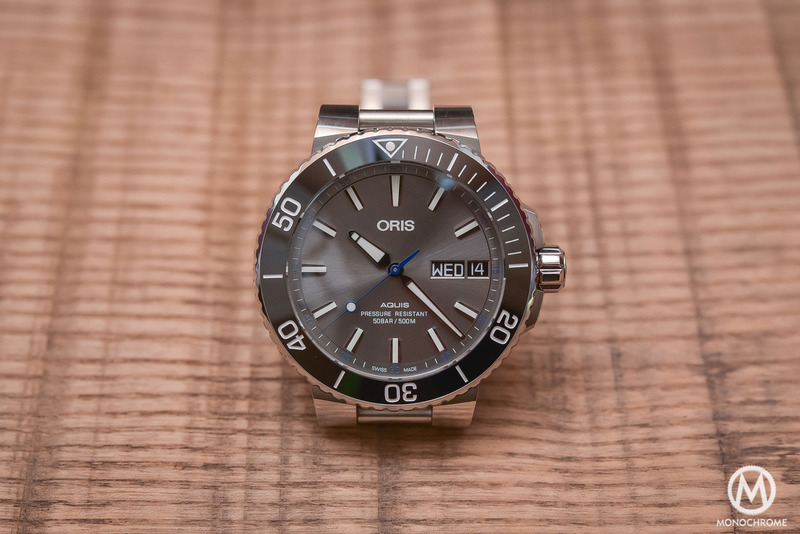 Oris is best known for their tool-ish, sturdy watches. This is no news. They manage to pair this with interesting concepts like a depth gauge in the sapphire crystal, a mechanical altimeter or a bezel-operated traveller’s watch. 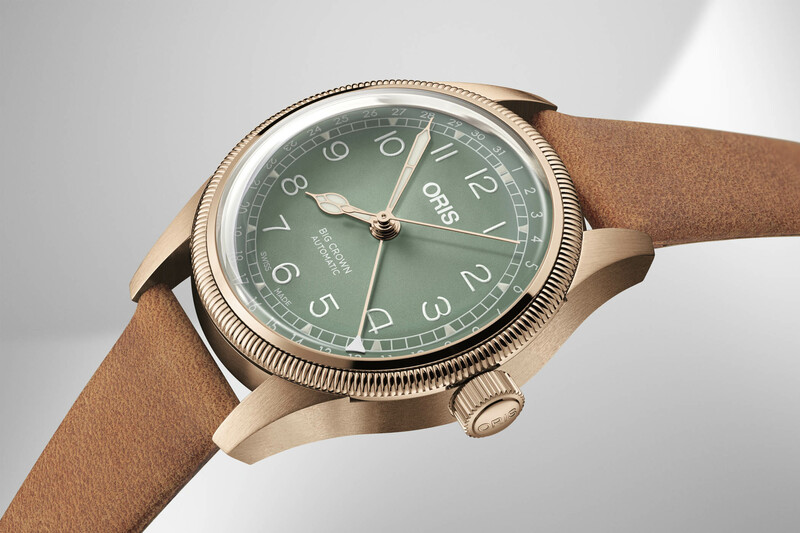 The new Oris Big Crown ProPilot Alarm Limited Edition is no exception. It features a mechanical 12-hour alarm function indicated by a yellow-tipped central hand, pointing at an inner ring to see at what time the alarm will go off. The alarm can be set in 10-minute increments, through the crown between 3 and 4 o’clock. 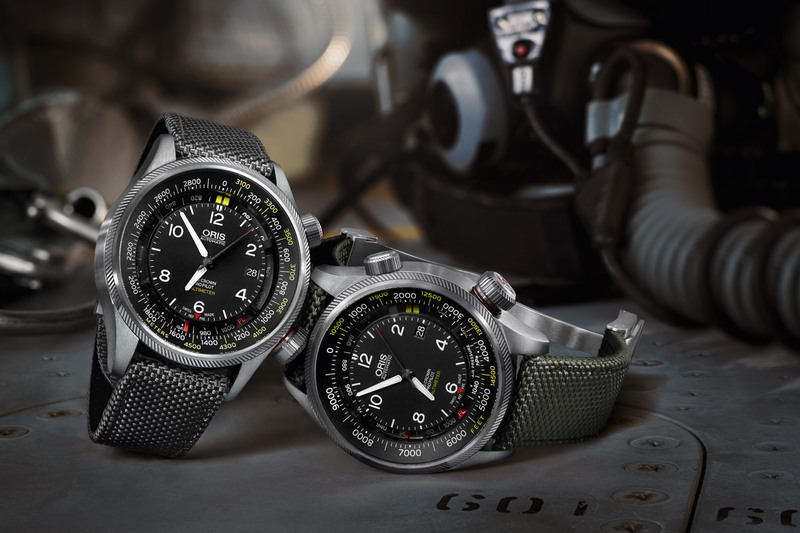 Besides the alarm function, the Oris Big Crown ProPilot Alarm Limited Edition also features a date, indicated by a black disc with a yellow marker visible through an aperture in the dial. The stainless-steel case measures 44mm in diameter and is the familiar Big Crown style, so oversized crowns for easy operation and a knurled bezel. The watch features two crowns, with the one between 2 and 3 used to adjust the alarm and the one between 3 and 4 to adjust the time. 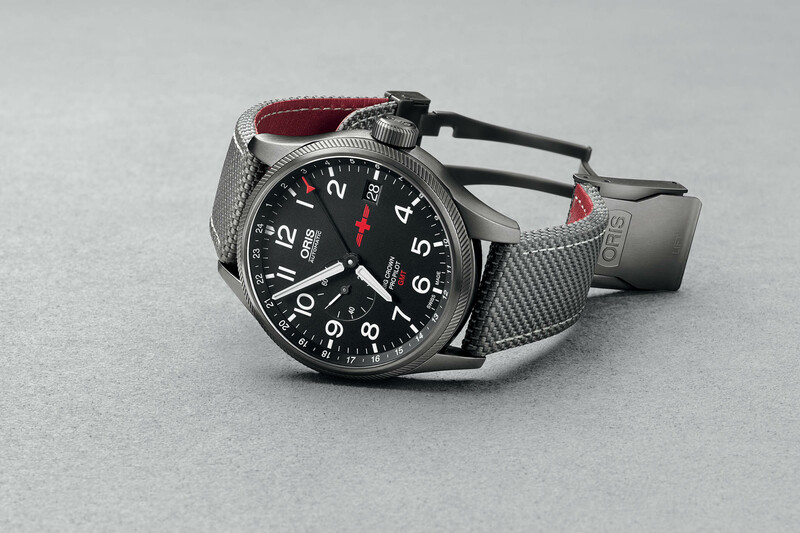 Mechanically, the Oris Big Crown ProPilot Alarm Limited Edition features the Oris Calibre 910 movement, which is based on the La-Joux-Perret 5800 or A. Schildt 5008 movements. 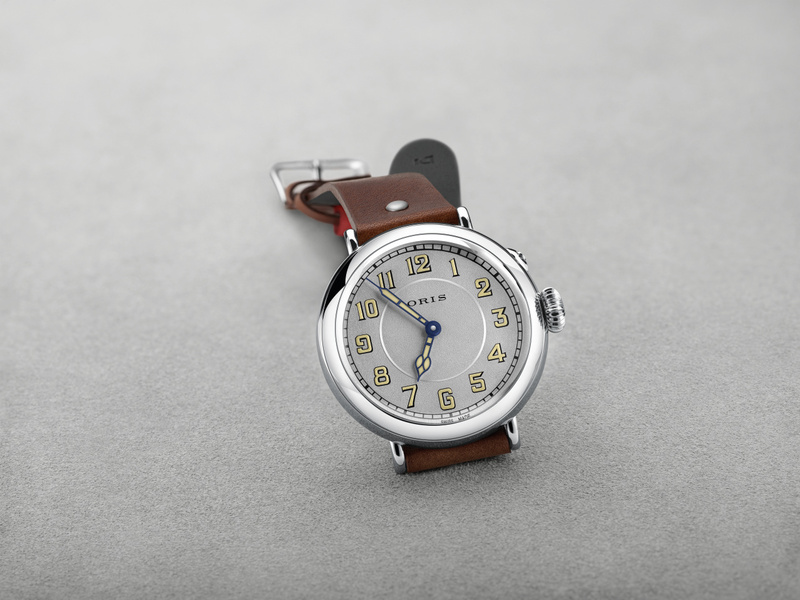 It features automatic winding, mechanical alarm, central hours, minutes and seconds, and a date. Production will be limited to 250 pieces, and they will be available shortly after Baselworld. 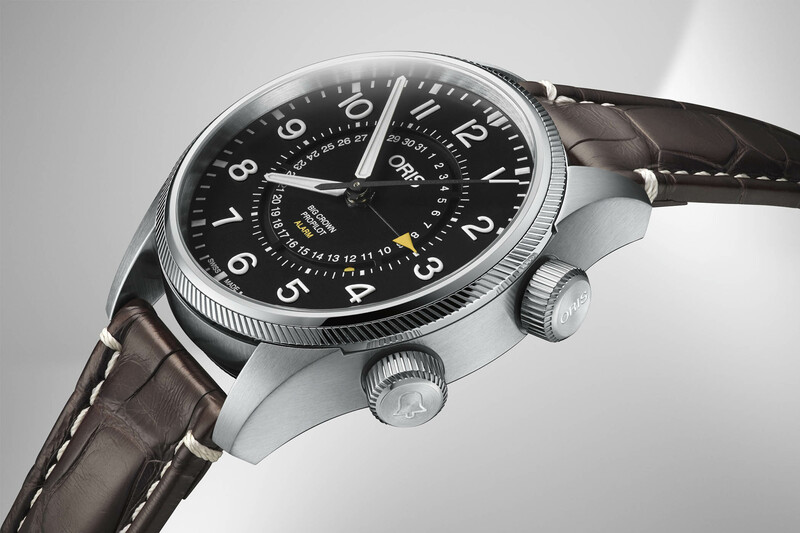 The Oris Big Crown ProPilot retail for CHF 4,900. 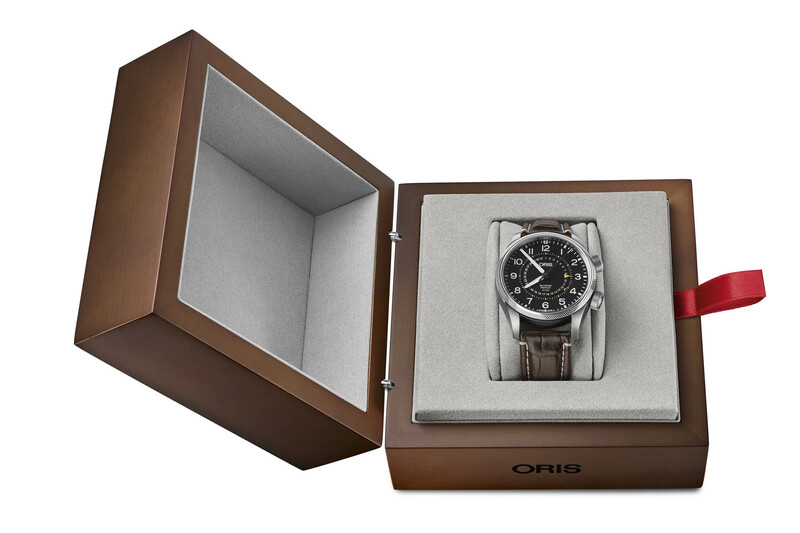 With that, you receive the watch on a dark brown crocodile leather strap and Oris’ signature aeroplane seatbelt-style clasp, all in a wooden presentation box. 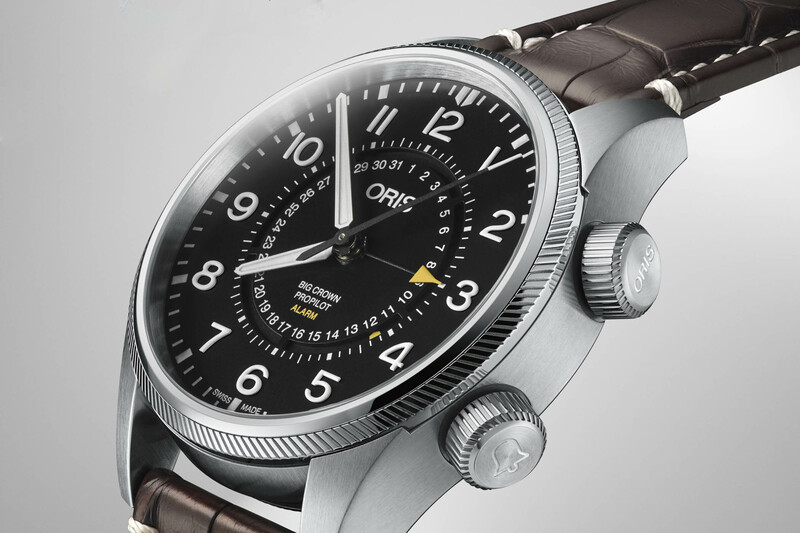 More information soon to be available on Oris.ch.